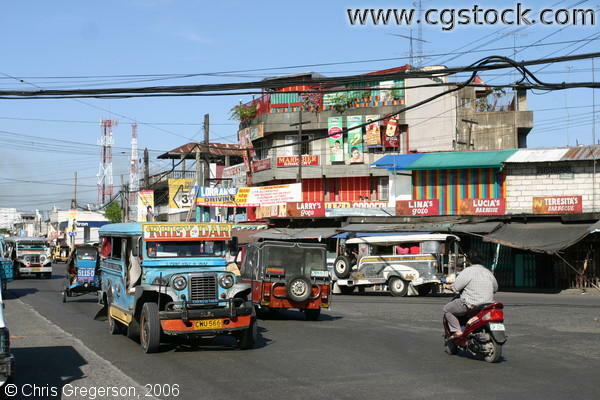 Shown here are jeepneys, scooter, tricycles, business establishments on a typical street in Balibago, Angeles City, Pampanga, Philippines. This is south of the Balacan river. This picture is taken during noontime. There are also to be seen at the left side of the picture some cellular phone antennas which abound all throughout the Philippines and is a sign of the improving communication systems in the country.